You have great game idea? We have what it takes to make it! As too small or too big projects! Taking extra step to deliver a higher quality is a part of our daily walk. We mentor our team leaders in the field of management. Because people who do the right things, will be successful in doing things right. We promote creative approach and motivation. No middle man. We do work ourselves. Registered & legal Canadian corporation. Accurate cost planning & and high quality. Uni-Bit Studio is a solid, reliable company organized by experienced professionals and specialists, who been developing mobile games, applications and supplying qualified specialists to other studios and businesses professionally for over 9 years. Uni-Bit approach is a new way of outsource development, when the only outsource person in the project is Product owner. However, our project managers work and provide guidance and control to the studio based teams of experienced developers. Such set up guarantees our customers high quality of the product, effective "in-office" project management, and cost-effective development. Mobile, console and PC Games development. Development of VR, AR, MR projects for corporate clients in entertainment, marketing and education. Business & entertainment mobile application development. Lease of our developers and artists to clients. Professional management of the client software projects. Software project management & game design consulting. We are your dream makers, We are your problem solvers. We are your IT think tank. Some people collect hockey cards, some coins or wines, We collect our stories of success. Let's Start Forging Your Dreams! Creator of many game projects. When others see a difficulties and challenges, Alexander sees opportunities and solutions for our customers. His passion and enthusiasm towards software development is extremely contagious, working with him you would never have “I am here just to do a job” attitude. They say that he is a magician, because he constantly motivates surrounding people to work better and more efficiently, which always pleases Uni-Bit customers. How? Nobody knows. Pure magic. Dmitri was born with board game in his hands. Professional game designer he puts a new meaning to the phrase “doing extra step”. Dmitri is a kind of game designer who writes a novel to describe a game universe he works on or becoming professionally qualified firefighter just because he has plans to create a game about fire & rescue professionals. He has a wardrobe full of ideas for a cool game. Just...considering information above, please don’t ask him to design a racing game, he is not very good with cars, and you know... We would worry. Yevhenii is Chuck Norris of the software development. Some of our stuff developers suspect, that he is a cyborg, who is sent in the past to become our savior against machines in a post-apocalyptic future. His work ethics compose legends. In a week this fellow is able to immerse and learn any new technology. He has wide range of expertise. His code is a work of art and example of the quality for the whole team. Mentor in the heart, he is always there to help, always willing to share. As long as you not trying to convince him to let you ride on his motorbike. Trust us, we tried. Bike is an exception. Experienced producer and talented marketing guru. He is a successful businessman and the head of our business applications development department and marketing team leader. He is our ultimate “ Got right connections” guy. We never tried to ask him arrange a dinner with a prime minister of Canada... yet, but chances are that he could. Vitalia is the third reincarnation of Cleopatra, after Catherine II. Her unique ability to manage people with the help of a smile allows our team to enjoy work, even if building pyramids without weekends and holidays. Vlad is a powerful magician from a parallel universe that helps our team solve incredible complex software tasks. At first glance it seems that he is silent, however, going into the state of meditating, you can hear his calm, inspiring voice. The work we done and proud of. Take a minute and look at our portfolio. Uni-Bit Studio developed a mobile application that allows you to virtualize and animate a character by removing the video in this fascinating. Uni-Bit Studio developed a mobile application that allows you to virtualize and animate a character by removing the video in this fascinating. Discover a tattooed alien dancing to country music, watch a cute cat in a spacesuit spraying laser graffiti in the air or jive with a vintage toy robot. 3D for all! Create highly engaging interactive experiences to share your best stories. Roomful's tools let you collaborate and share content on any device - mobile, desktop, and in VR/AR/MR. You don’t even have to own a headset or goggles to make it happen. When you do get your hands on your own headset, your content is already there for you to jump right in. Your content will be instantly available in Google Cardboard VR, HTC Vive, and Microsoft HoloLens, with more leading platforms coming. Using just your smartphone, you can become a 3D VR rockstar. Linzar is a simple and convenient tool for obtaining interactive information using Augmented Reality technology. This application was developed for the company TRIMER LLC. Linzar is a simple and convenient tool for obtaining interactive information using Augmented Reality technology. This application was developed for the company TRIMER LLC. What features does Linzar provide? Calls Why rewrite or remember the phone number, if you can call directly from business cards and brochures? Link A painful search for the site on the Internet is a thing of the past. Today, the transition to the right resource is just one click. Audio Concert posters and magazine spreads contain a lot of audio content. Video It's better to see once ... Rapid playback of hidden video clips. 3D Models Augmented reality allows you to get unique content - static and animated 3D models. What is Zombie planet? Zombie planet is the first multiplayer augmented reality game that allows players to see other players’ characters via their phone’s camera. What is Zombie planet? Zombie planet is the first multiplayer augmented reality game that allows players to see other players’ characters via their phone’s camera. As soon as you scan the area and point your phone on another teammate you’ll be able to see their character. There is a variety of characters, weapons, and items to choose from. This game is made up of 2 phases: - The first phase is all about getting to know the other survivors and cure all the zombies. - The second phase, after the fall of all governments after world war 3, you and all the zombies you’ve cured will make an army and go to war against other nations. In this game we suggest you to collect magical friends of Maggie. Matching two or more cubes of the same color to clear your way to your favorite friends. In this game we suggest you to collect magical friends of Maggie. Matching two or more cubes of the same color to clear your way to your favorite friends. But don't think that it will be easy, the number of your moves will be limited, and to pass the level you will need to collect the exact number of cubes of different colors. Get ready for skill-based fights with thousands of alchemy-born creatures, venture your way forth and gain the Lost Power. Lay waste to other player's dungeons, conquer monstrous hordes and make them serve you! Become the master of the Abyss with an unbeatable army and an unmatched mechanic defence. Project of Uni-Bit Studio for the 8Floor company. Travel through time and explore the unexplored land, full of mysteries and ancient creatures, in this exciting strategic game. Project of Uni-Bit Studio for the 8Floor company. Travel through time and explore the unexplored land, full of mysteries and ancient creatures, in this exciting strategic game you will find many different goals, an amusing storyline and new game elements. Manage resources, develop structures, tame dinosaurs and fight with Doctor the Terrible and his dinosaurs. Shoot and catch fish in the net and earn gold coins!Are you ready to get a deep ocean experience? You need to catch a fish in the ocean simulator. Shoot and catch fish in the net and earn gold coins!Are you ready to get a deep ocean experience? You need to catch a fish in the ocean simulator. Once the gun's manometer is full, you will be rewarded with gold coins. Earn coins and fish in the sea. You have several kinds of fish, so choose a special laser cannon to catch and destroy everything and everyone in your path. Frontier Pilot Simulator - simulator of cargo space transport in the distant future on other planets. Frontier Pilot Simulator - simulator of cargo space transport in the distant future and on other planets. Frontier Pilot Simulator - simulator of cargo space transport in the distant future on other planets. Frontier Pilot Simulator - simulator of cargo space transport in the distant future and on other planets. This is a tremendous huge uncharted world with an economic component, a complex management system and the most difficult weather conditions on each route. Here, the environment itself will be against you, and of course competitors, air defense systems and all the rest - the whole world will be against you. Mobile app on the Android platform This application was developed in cooperation with Tribe Games company. Stickman Trials – the incredible new bike simulator with realistic physics, offers racing with mountain-bikes, bmx, motorcycles, pitbikes, mopeds and other two-wheeled rides. Slingo Showcase is the fun new card game for Slots and Bingo Lovers! Enjoy classic Slingo (slots + bingo) gameplay as you spin, match and win your way through a wonderful world of cute and crazy collectibles! If you’ve enjoyed Slingo Shuffle then you’ll love this sequel! To start playing just spin the slot reels and make matches in the board below. Match five cards in any direction to get a Slingo and win tons of coins. You can match poker hands for even bigger wins! Enjoy more challenges as you progress and unlock cool new deck themes like Kittens and Desert. Coming soon you’ll be able to collect fun and unique stickers as you progress and build your Showcase to epic proportions. Get ready to show off your big wins and cool collection with Slingo Showcase! Game Features: - Fun Bingo and Slots combination game play! Easy to learn and fun for hours! - 18+ card decks to discover with fun and playful themes - 360 levels to master with more coming soon! - Daily Quest to earn FREE coins! - Collect daily bonus coins every day! - The classic Slingo Shuffle gameplay updated with more fun and challenges - COMING SOON - Collect cool stickers as you progress to fill out your Showcase! This is a true chameleon puzzle game that can be personalized according to player desires. This game was made by the team of AVATAR MY HEROES. You'll understand why everyone loves Rainbow Crusade with hundreds of puzzle levels in which you must destroy the evil clouds, eliminating the eternal ice in big splash, or decide to save your friends, your family or your favorite characters. Real space shooter game with stunning graphics and attractive gameplay created by Uni-Bit team for StepStudio. Explore space in a whole new dimension and start shooting in Star Splitter HD. Real space shooter game with stunning graphics and attractive gameplay created by Uni-Bit team for StepStudio. Explore space in a whole new dimension and start shooting in Star Splitter HD. Be an intergalactic pilot and start your journey in space by invading alien territory, performing missions, powering up your plane and navigating through space in Star Splitter HD. Experimental project of conceptually new MMORPG system which were designed to eliminate problems of multi-level battles balancing and offer new ways of use GPS technologies in mobile games. This application was developed by Room8 in cooperation with Uni-Bit Studio. There are more than 10 similar successful escape games that were developed with us. Locked in a Museum - you'd better escape before you become an exhibit yourself... You've decided that evening is a great time to visit a museum. Being the only visitor in a huge building is really great, but chances are a guard will forget that you are in... And he did. You check the doors - but they are locked. Now you have to escape the museum, unlocking every single hall which presents the history of humanity from the darkest times to nowadays. Solve the puzzles, break the codes - and escape! Is there anything you are afraid of? Everyone has their fears… Maybe snakes or disgusting spiders? Don’t fear anything. Join our army of avengers, meet your fears face to face and show them who’s the boss. Improve your death-maсhine, discover new enemies and get rid of your phobias. From the hit TV channel, BabyFirst, comes the perfect art app for toddlers! Even the youngest of children can easily swipe the screen with their fingers to reveal a bright and beautiful picture. Meet VocabuLarry – a talkative, comical parrot who loves to say new words and make babies laugh. With this engaging and amusing app, tots can interact with VocabuLarry by simply tapping the screen. With every touch, the playful parrot flies, jumps, and talks in his own funny way. "Champions League» - Full HD social game for true connoisseurs of the robo-fighting! Gorgeous animation, colorful fights, the fierce battle - all this and more awaits you in the game "Champions League." "Champions League» - Full HD social game for true connoisseurs of the robo-fighting! Gorgeous animation, colorful fights, the fierce battle - all this and more awaits you in the game "Champions League. 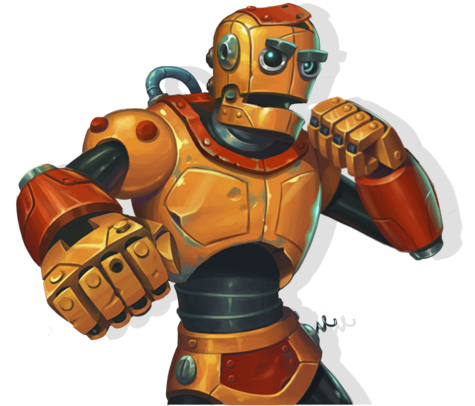 "Create and develop the robot, fight with friends, defeat bosses, quests. Only here - on our stage you can feel the intensity of the battle, the taste of victory, and finally determine who really have the courage and strength for what would become the Champion! After all, there is only important force, equanimity and the desire to win! Champions League - see who nerves of steel! Chronicles Empire - computer online strategy that allows you to connect all your imagination and logical thinking. Colorful graphics and story captures early in the game. This application was developed in cooperation with Tortuga company. The virtual social game with a huge selection of gaming locations and the development of social relations. The game has a unique system of achievements. This application was developed in cooperation with Tortuga company. Online strategy game with turn-based battles and RPG elements. This application was developed in cooperation with Tortuga company. Online strategy game with turn-based battles and RPG elements. Features: - Become party to all key events in the world of the game: take the path of people playing for the Empire, punish traitors and enemies of the Necromancers Council, participate in dangerous experiments Elf Warlock and intrigue; - Tactical turn-based battles that have become a classic in strategy games world of Might and Magic; - More than 100 ancient artifacts from its history and features; - Develop their skills and magical abilities to defeat any enemy; - Take part in the tournaments and entertain its rightful place among the best players. This application was developed in cooperation with Tortuga company Multiplayer online game. The user can take part in the life and development of the fairy kingdom. This application was developed in cooperation with Tortuga company Multiplayer online game. The user can take part in the life and development of the fairy kingdom. On the way of the warrior are sets victories on the evil enemies and robbers, the management of their warriors and magical attributes. You can choose a card of travel and development of their cities. Alarm clock Dzn-Dzn is unusual. Main feature of the app - you can turn it off only by making a selfie with the camera of your phone. Wake up and smile! The photos are saved in the phone - share them away with your friend and relatives in social media. App which gives an opportunity to keep drinking your favorite beer and find shops and bars, where you found suitable beer range. We made the cool summary pages, where everything is in one place and it shows all the information about the selected beer. Cheers! Air :: Radio - a unique resource of live broadcast from the Internet. Music is always with you, where there is Internet. The project created by a group of experienced Ukrainian artists who care about musical horizon of Ukraine, who follow all the novelties of the world of music and keep up with them. Air :: Radio - a unique resource of live broadcast from the Internet. Music is always with you, where there is Internet. The project created by a group of experienced Ukrainian artists who care about musical horizon of Ukraine, who follow all the novelties of the world of music and keep up with them. People who understand the music, and are confident that accompany each of us every day, it can both energize and relax. So we created Air :: Radio. This "live" radio, which broadcasts 24/7 in any place where you are so wish. The main thing - to have access to the Internet. Mobile app on the Android platform. Do not Take Fake - a unique event which is a great platform for creating physical brand communication with visitors. This application will allow even more to bring together all participants in the market, a new experience of communication, always be aware of what is going on at the event and beyond. Dozens of successful project is a statistic. But every one of such projects is unforgettable fun story. HQ, North American division office. Uni-Bit development and production facilities. Sales & Marketing center, Europe division office located in Russia. We love to make friends so follow us on social networks and stay tune with our news and events. We are all about games! 2011-2019 © Uni-Bit Studio Inc.